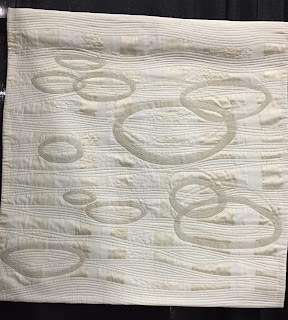 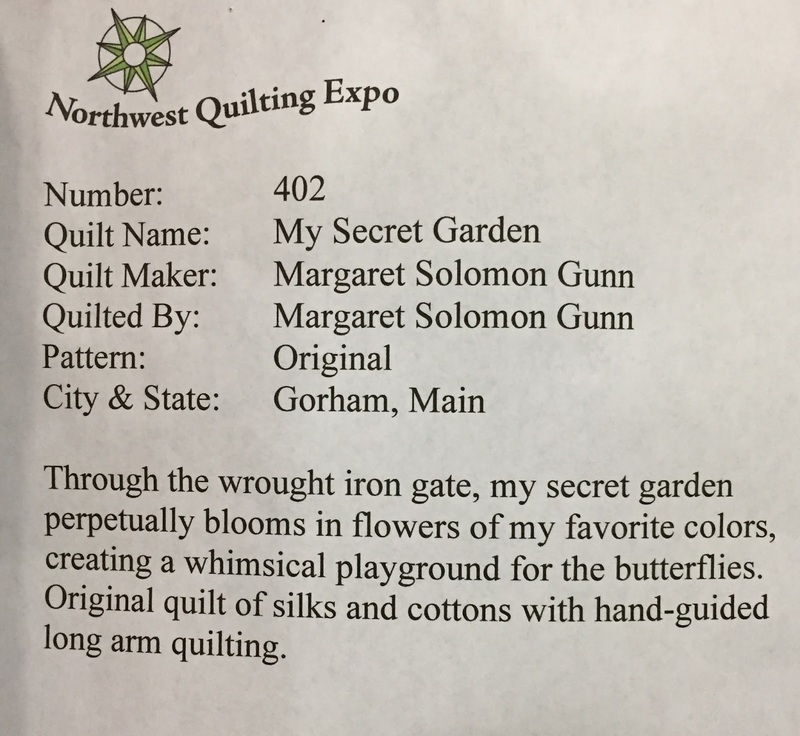 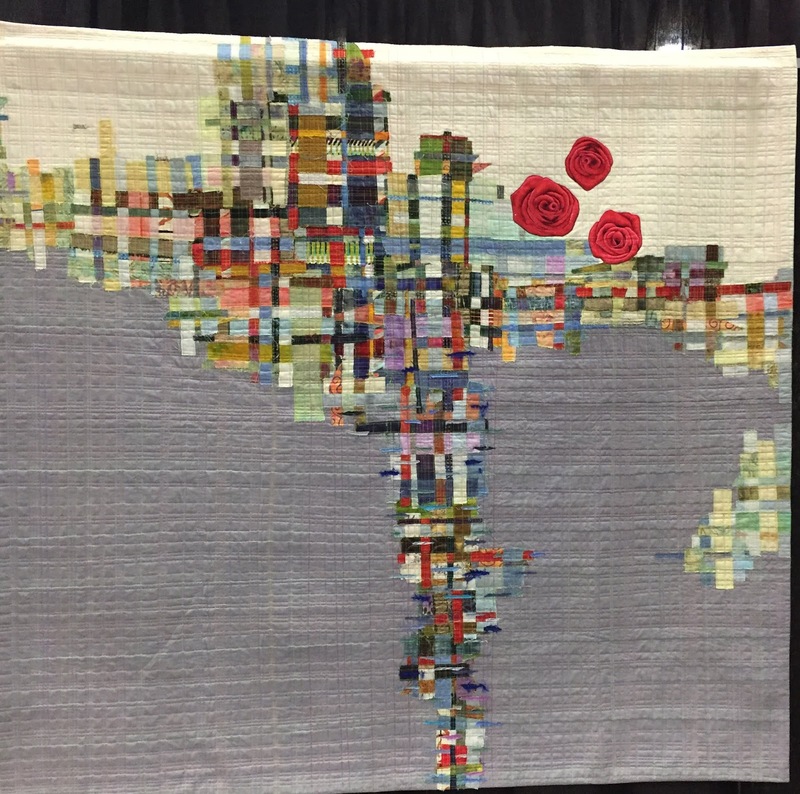 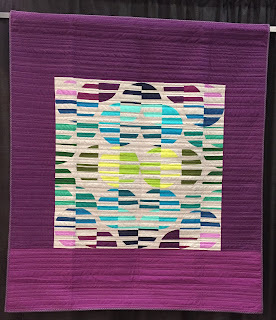 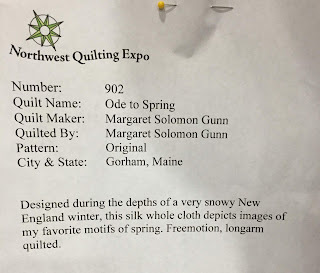 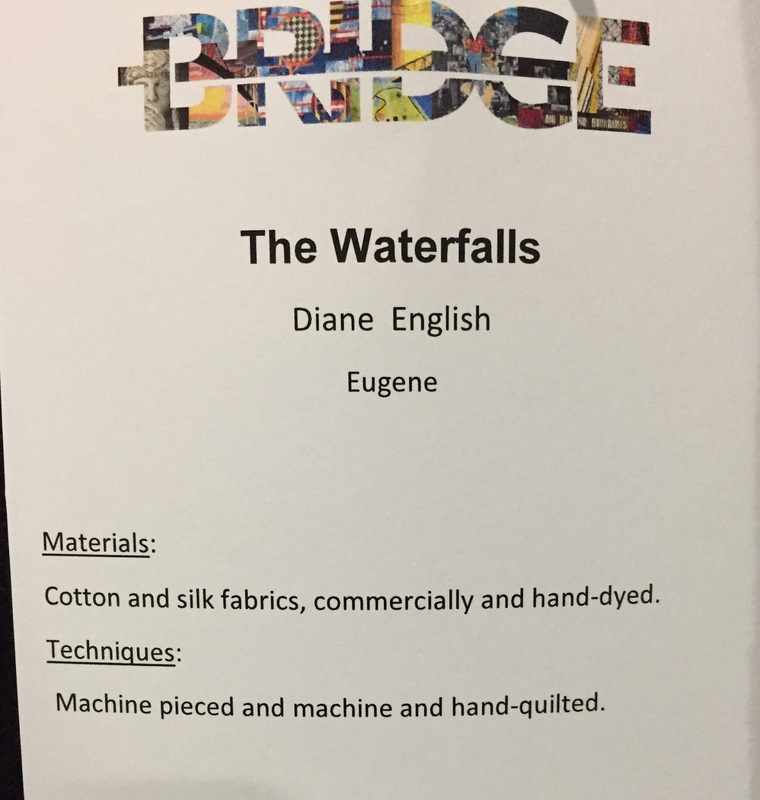 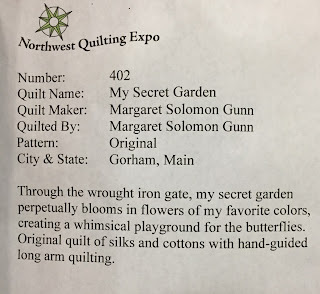 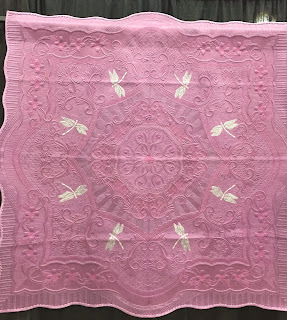 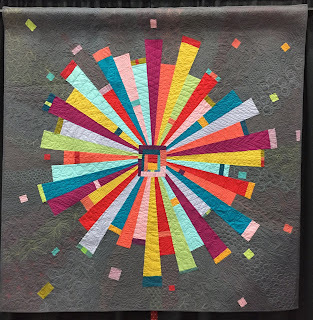 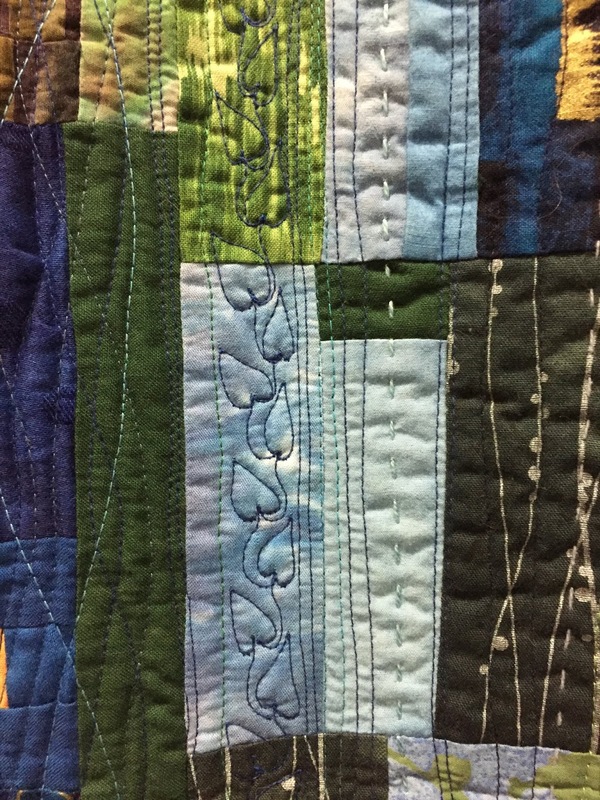 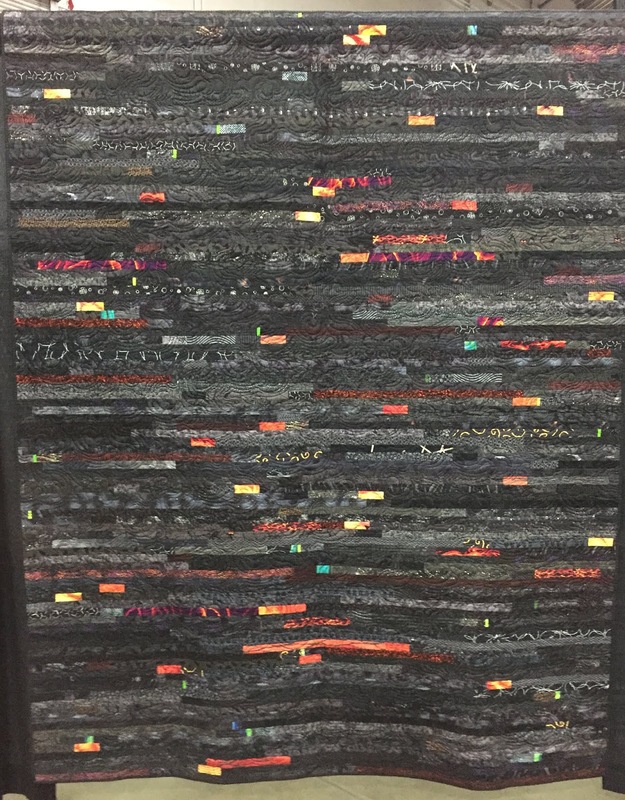 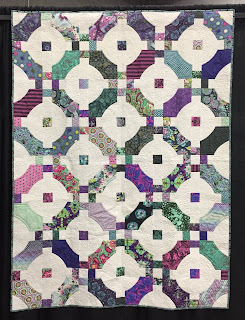 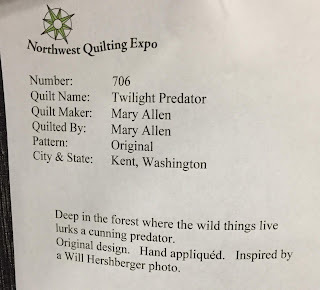 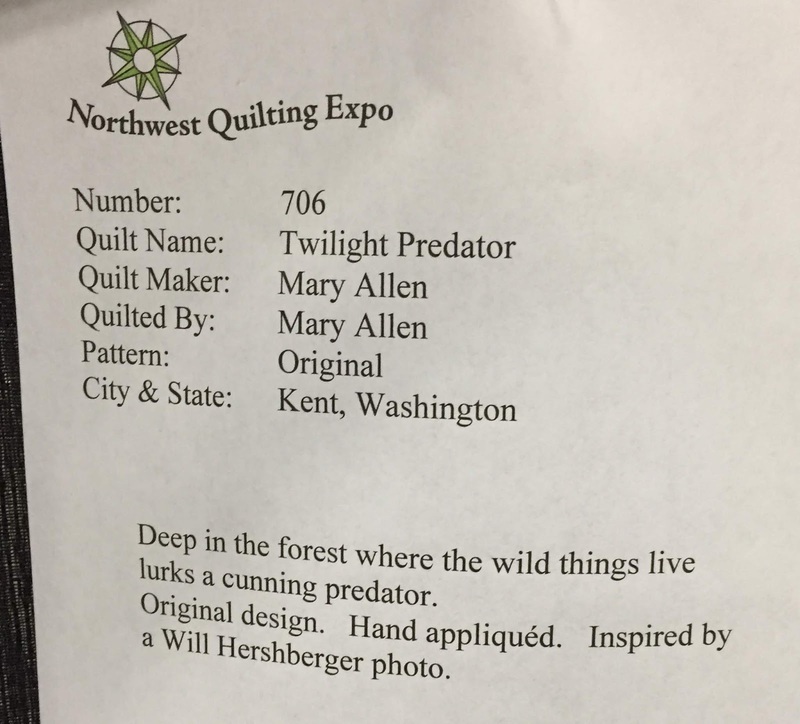 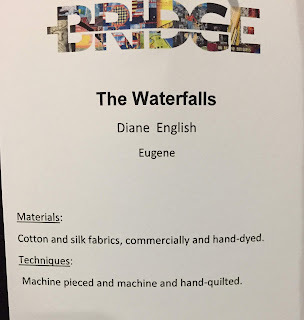 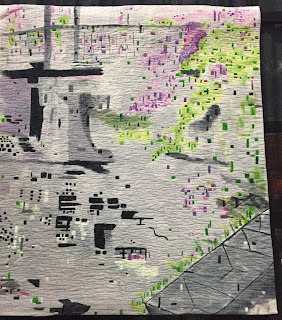 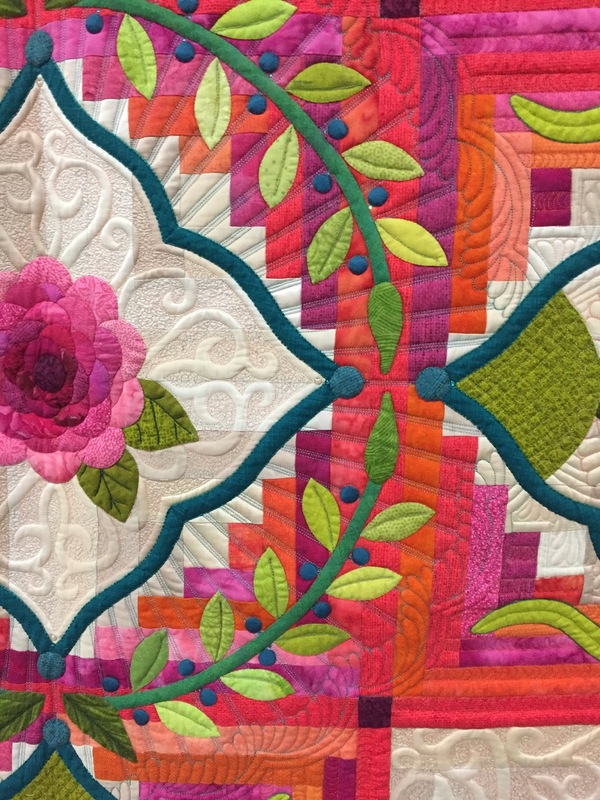 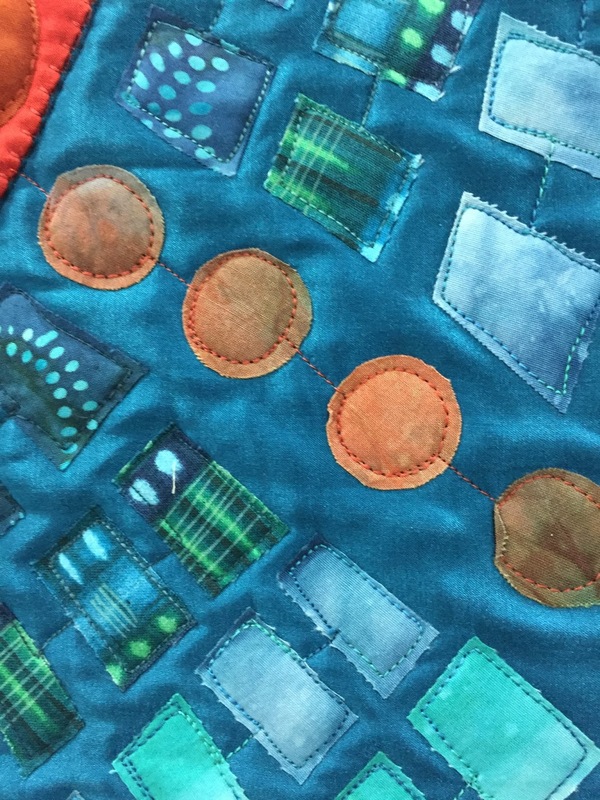 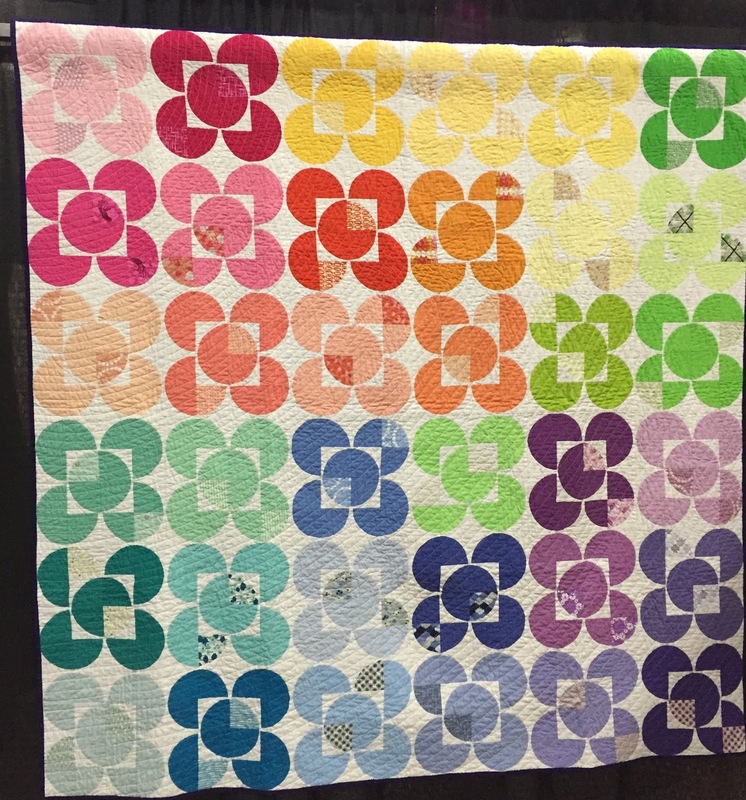 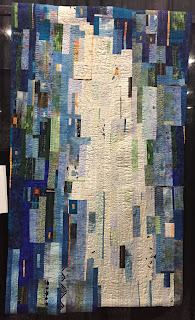 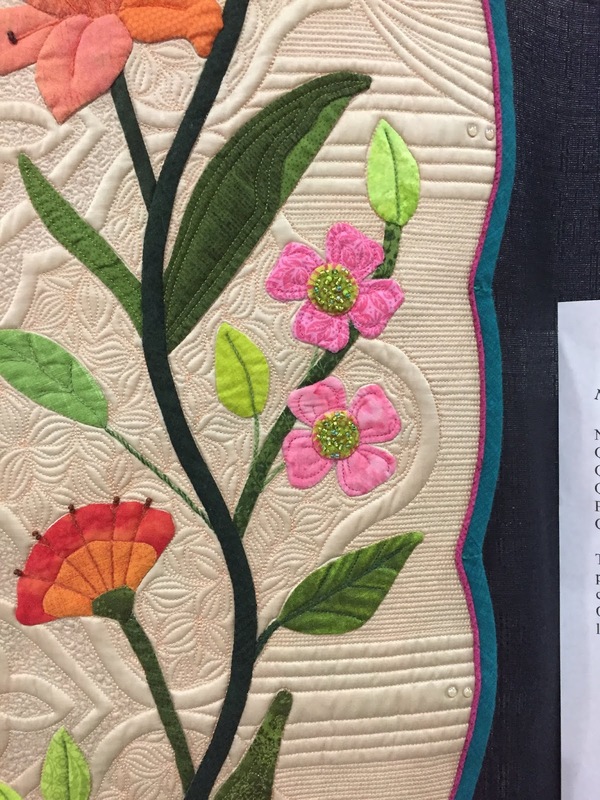 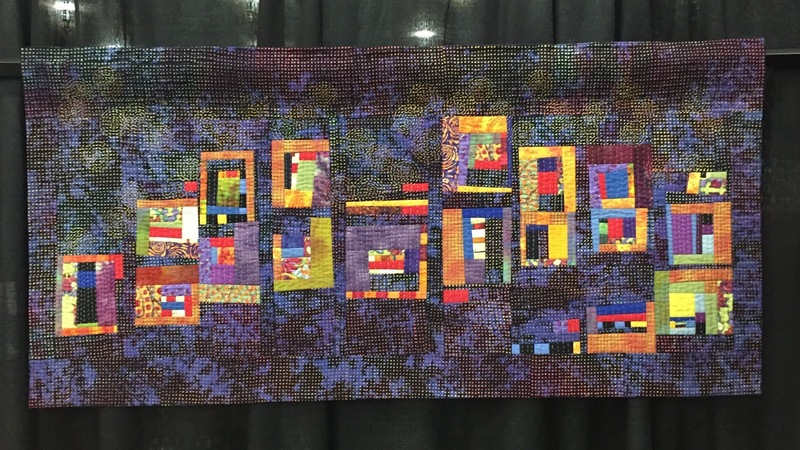 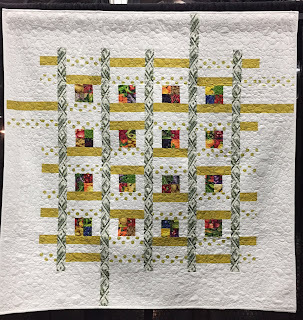 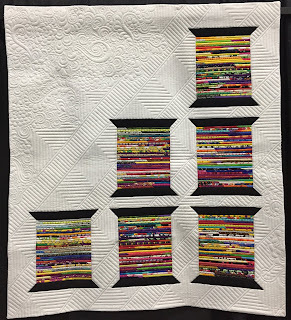 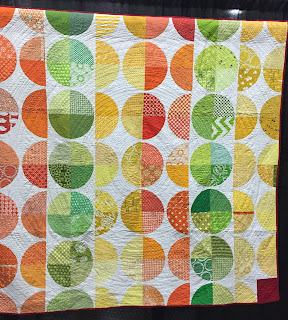 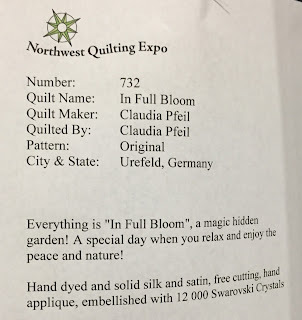 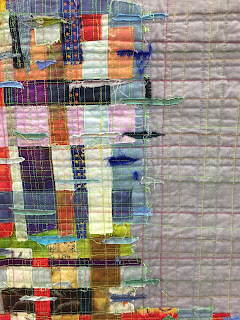 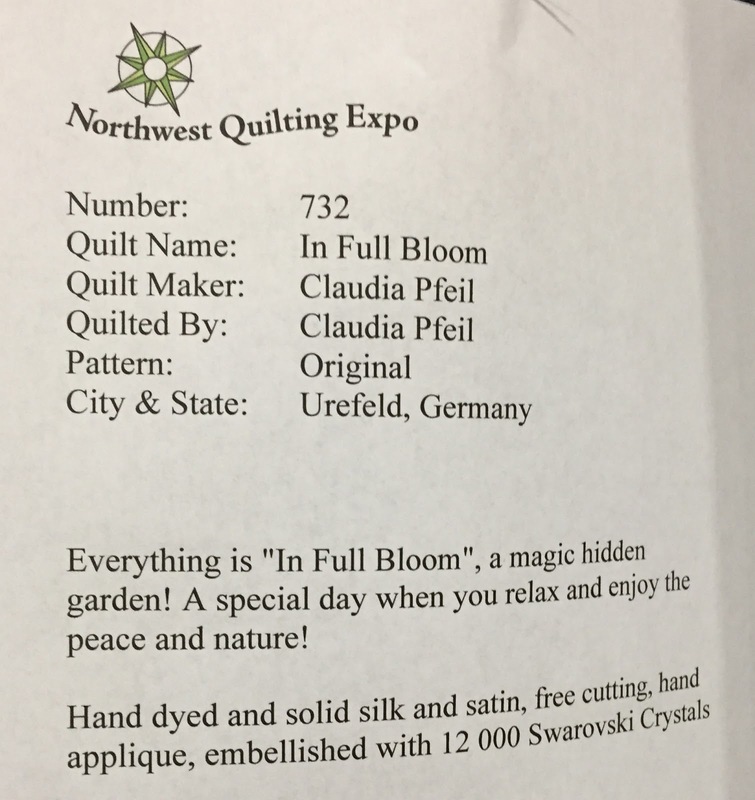 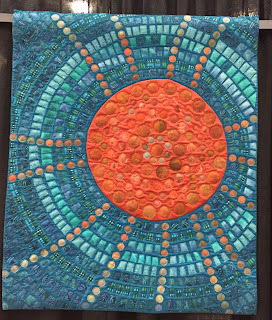 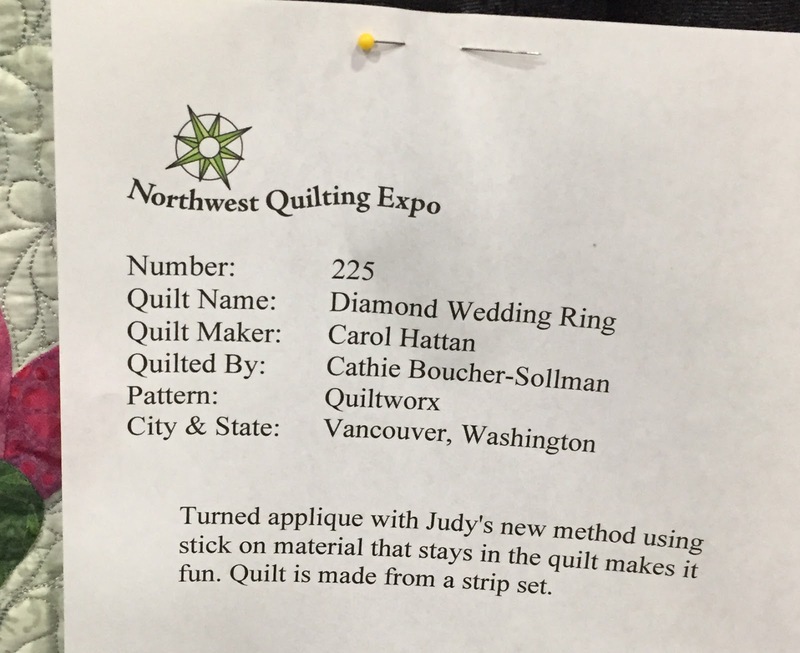 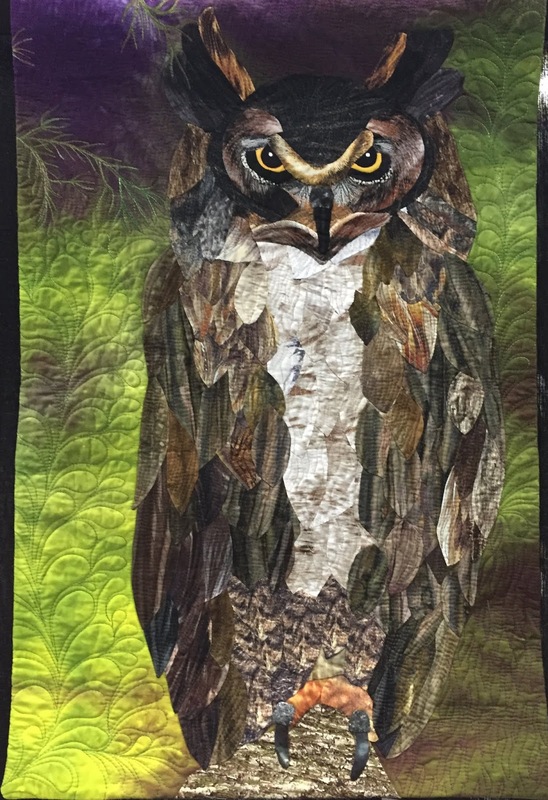 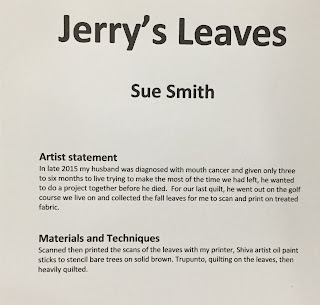 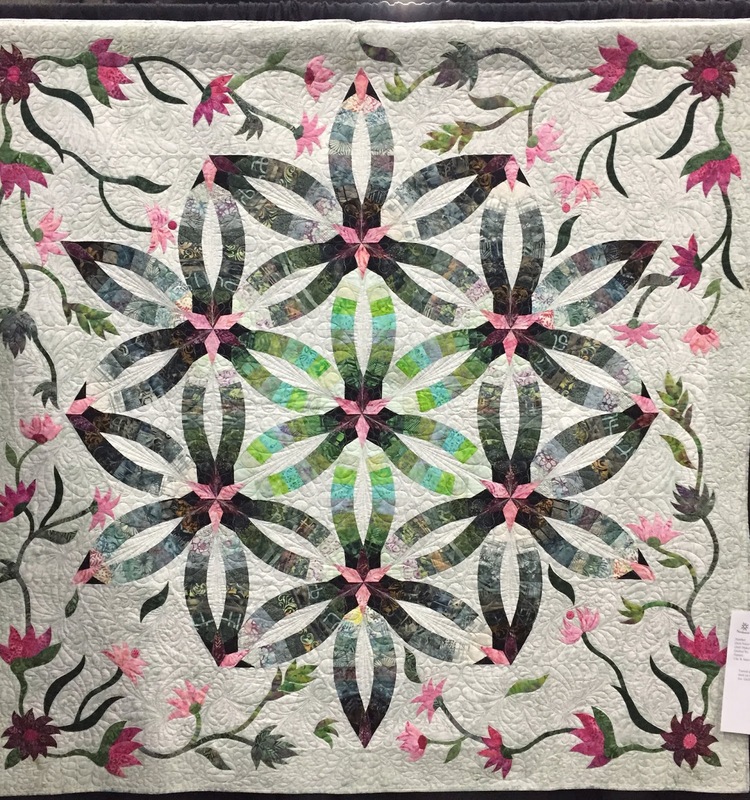 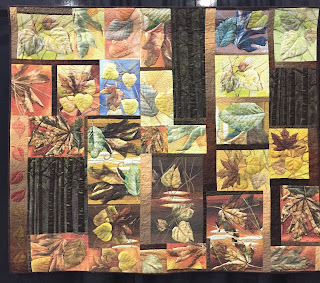 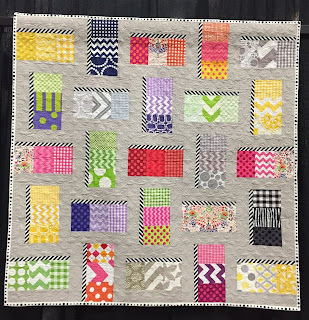 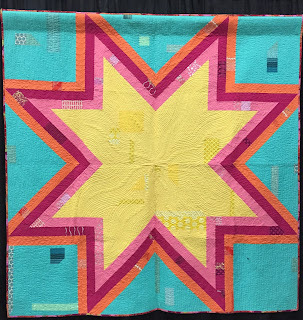 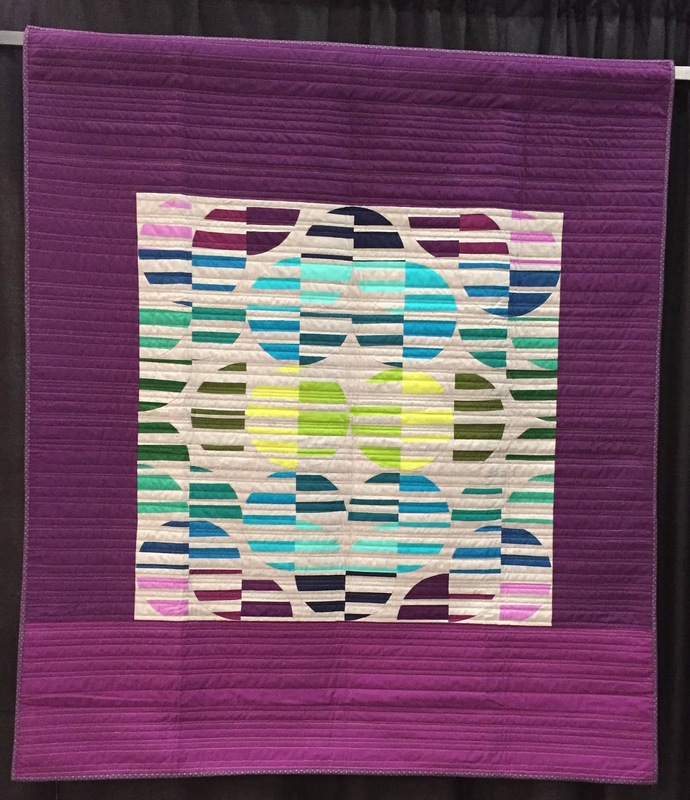 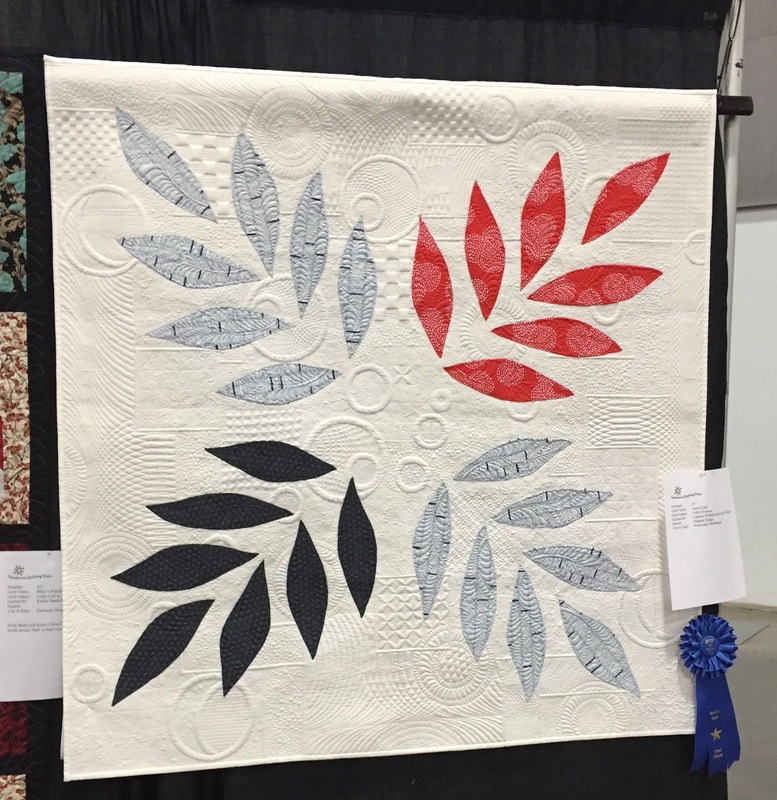 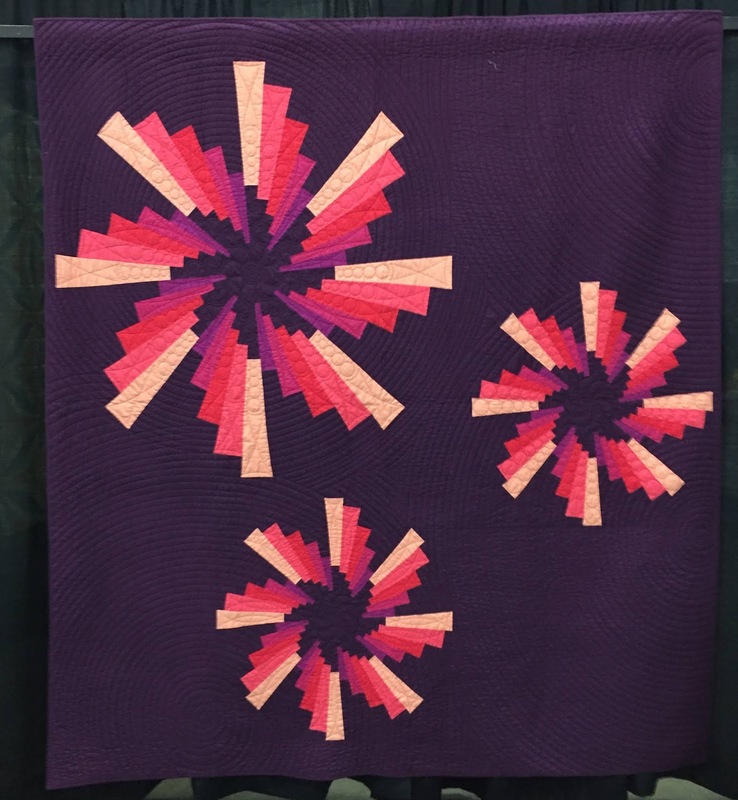 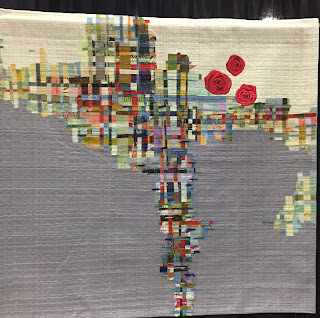 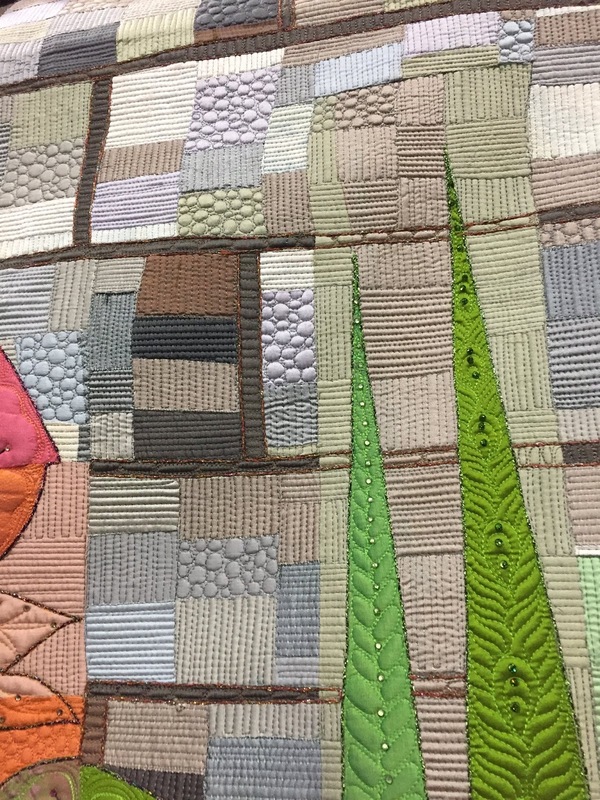 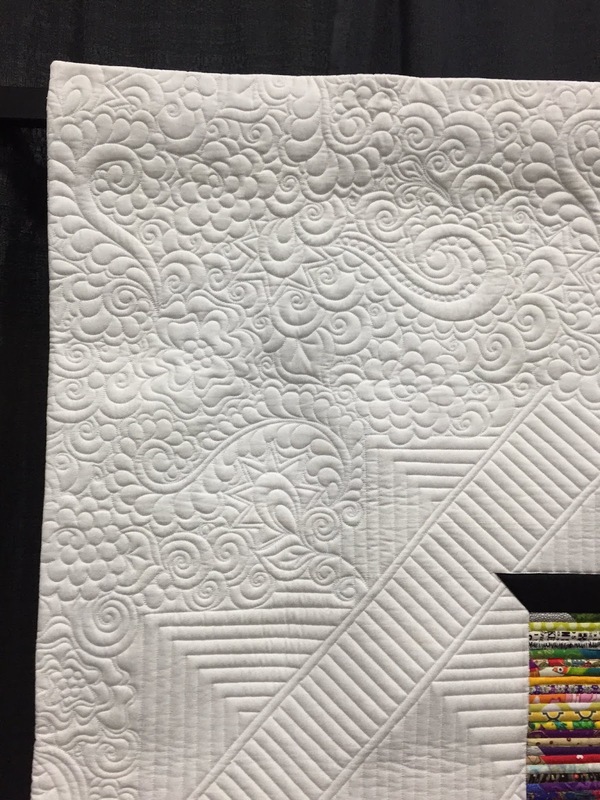 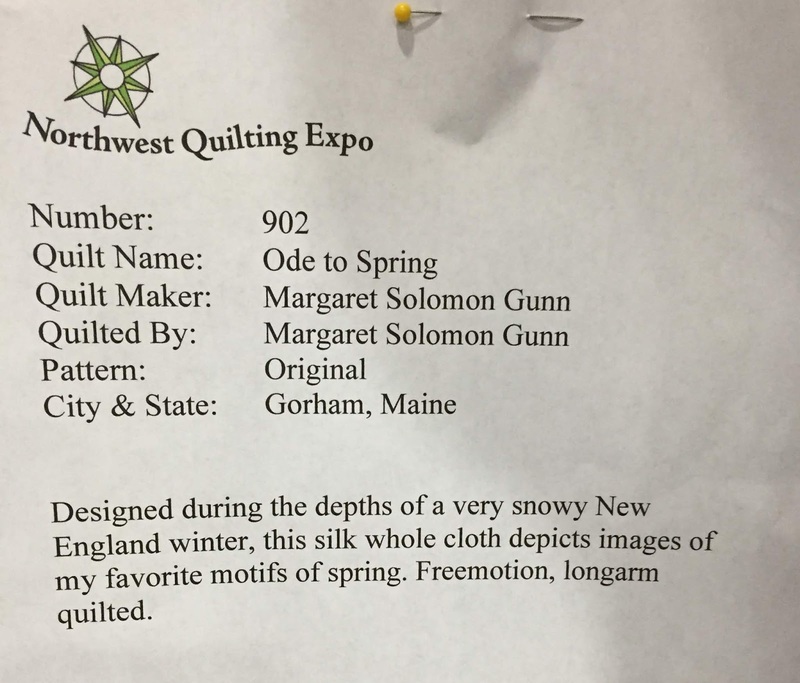 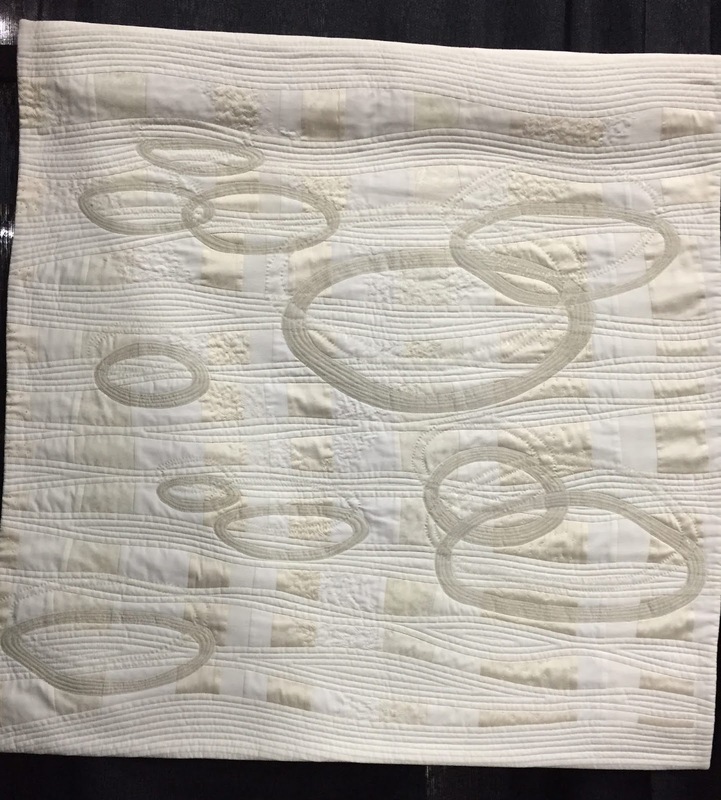 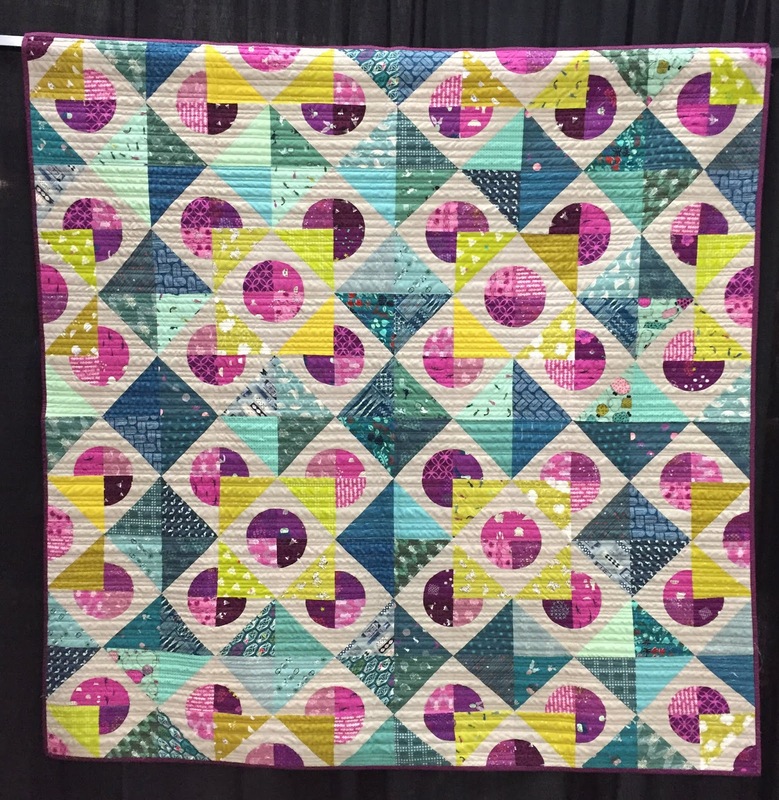 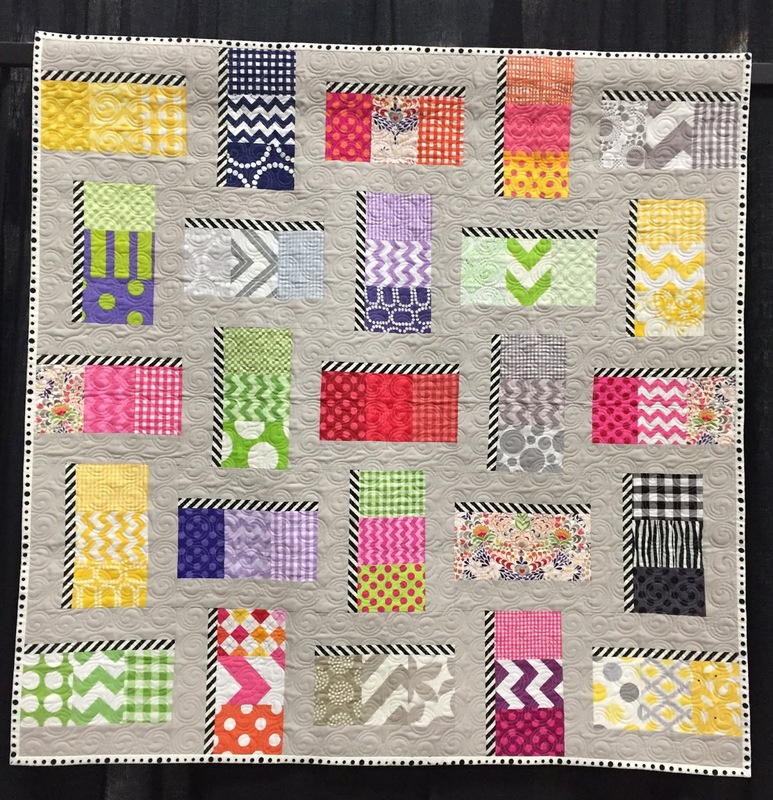 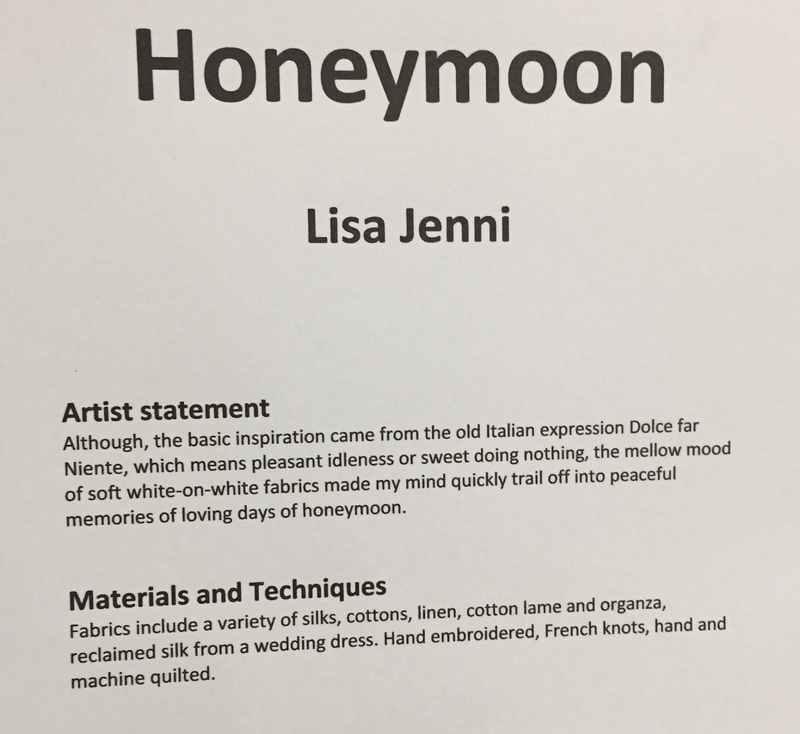 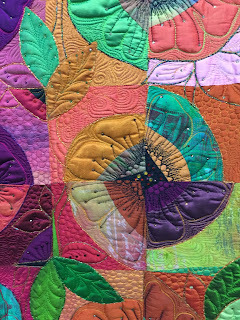 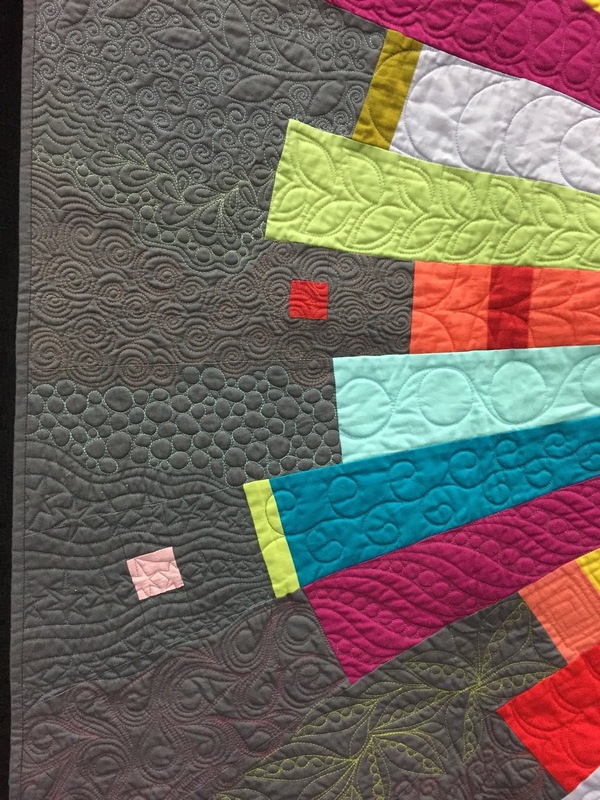 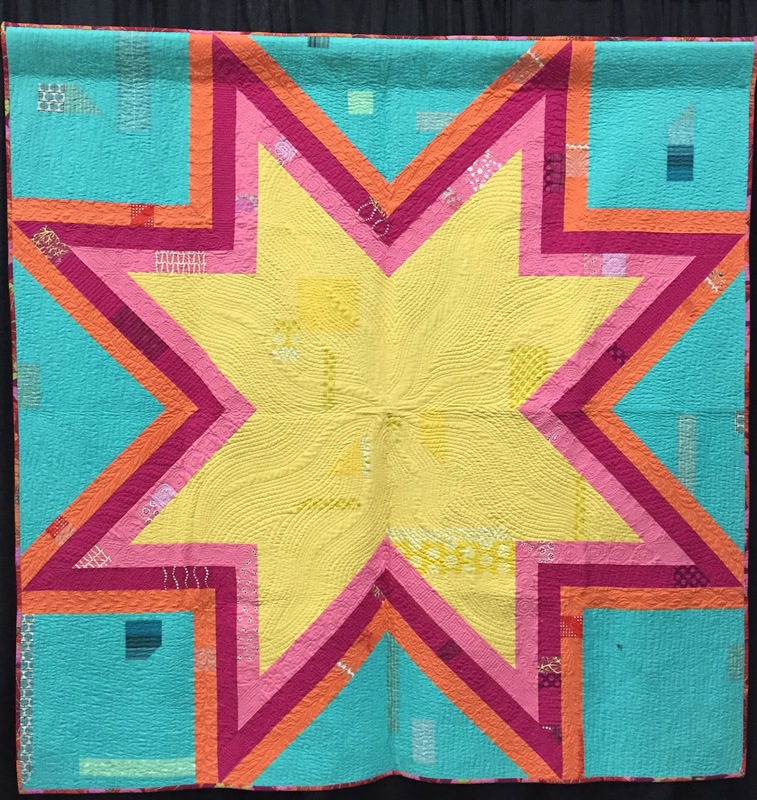 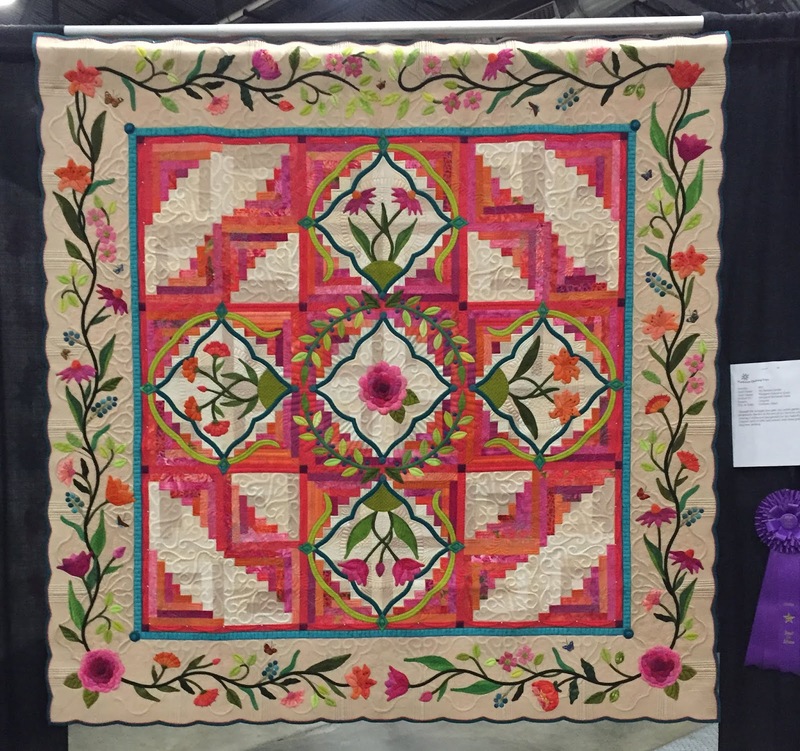 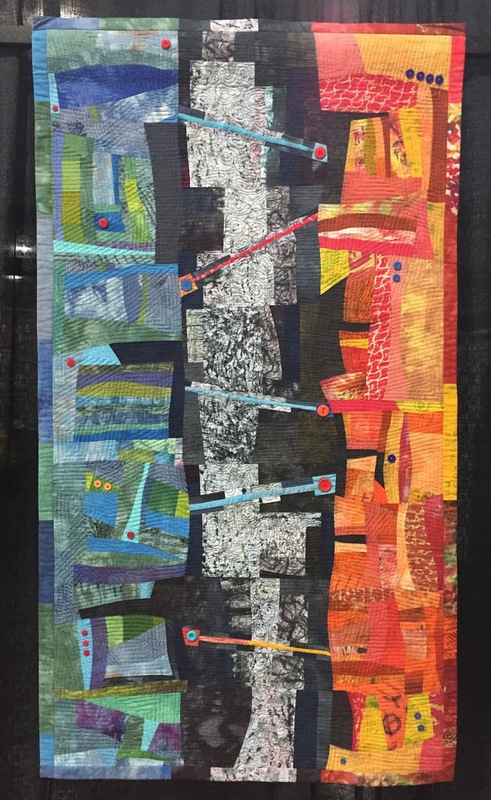 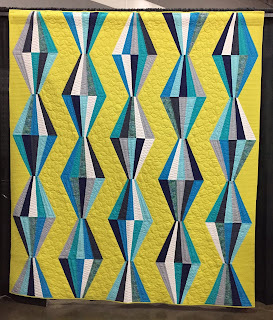 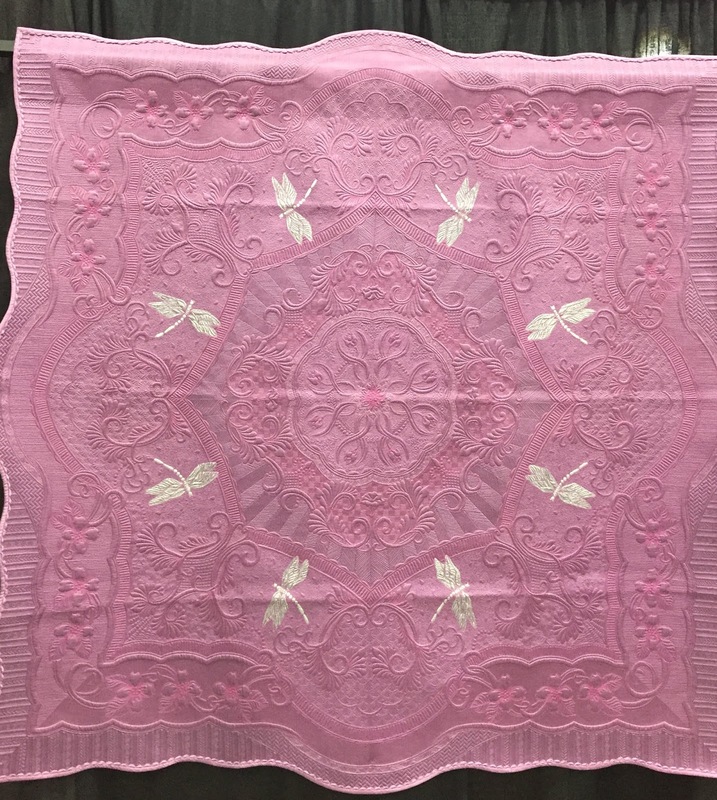 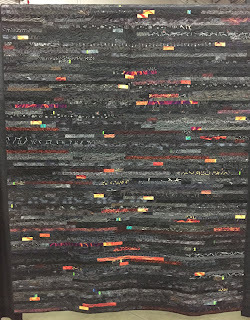 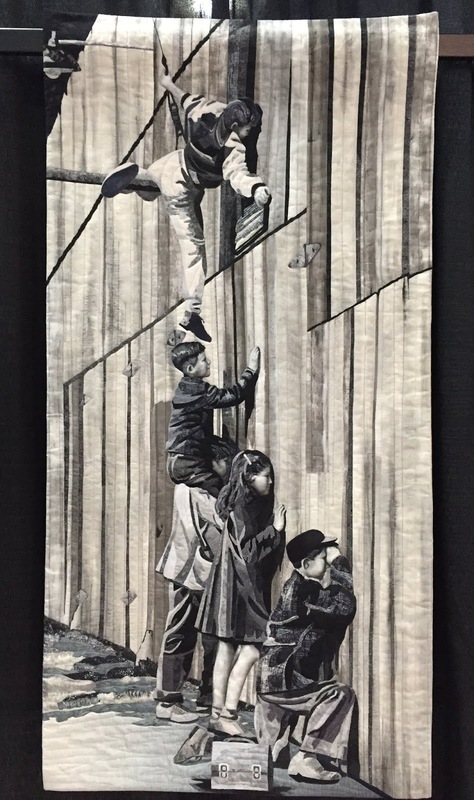 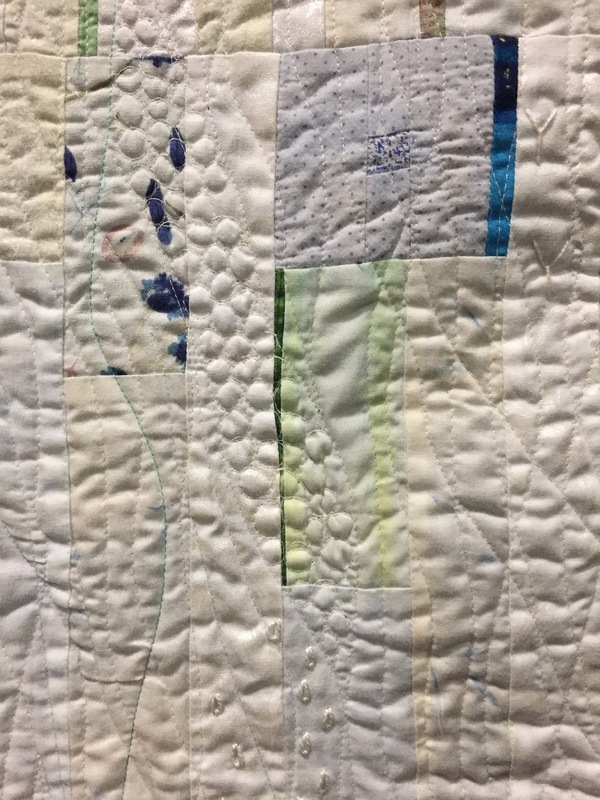 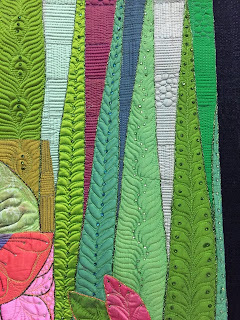 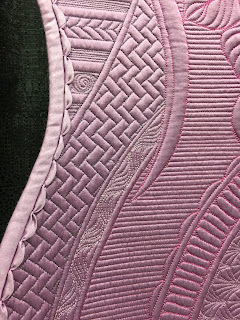 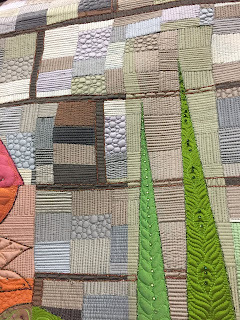 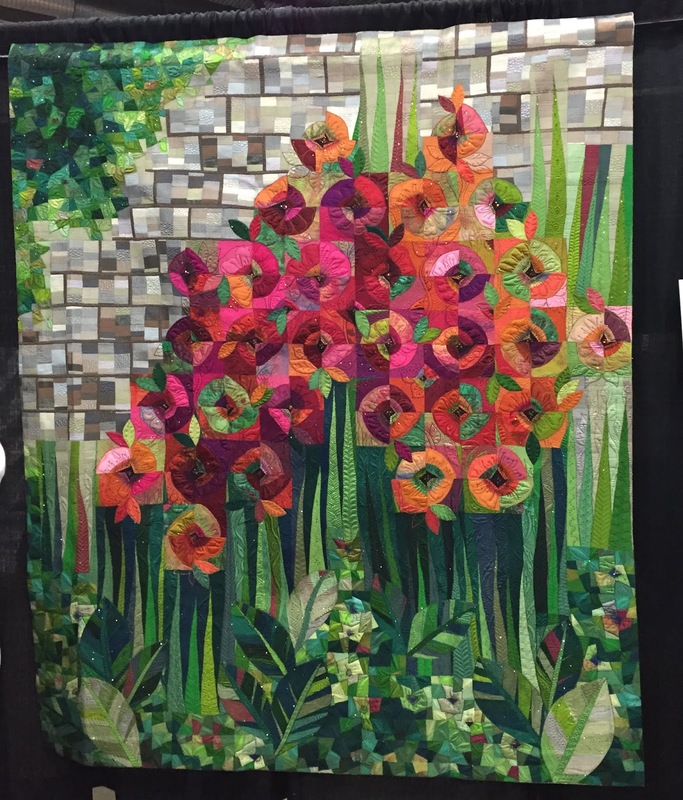 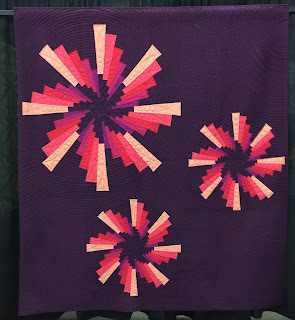 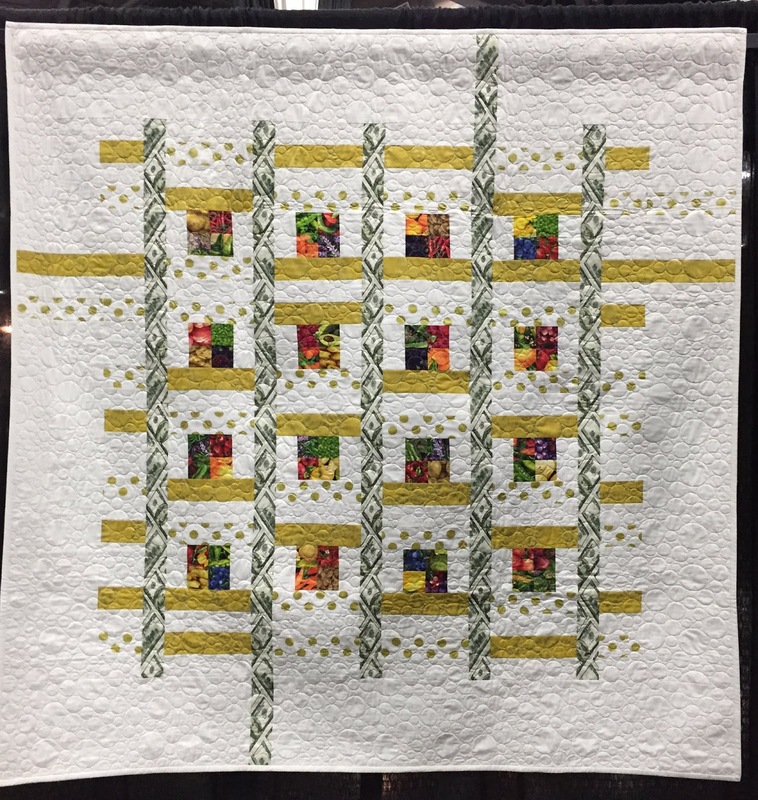 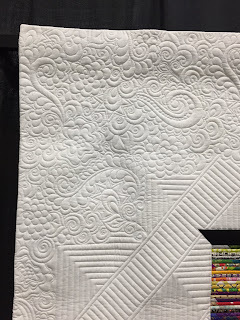 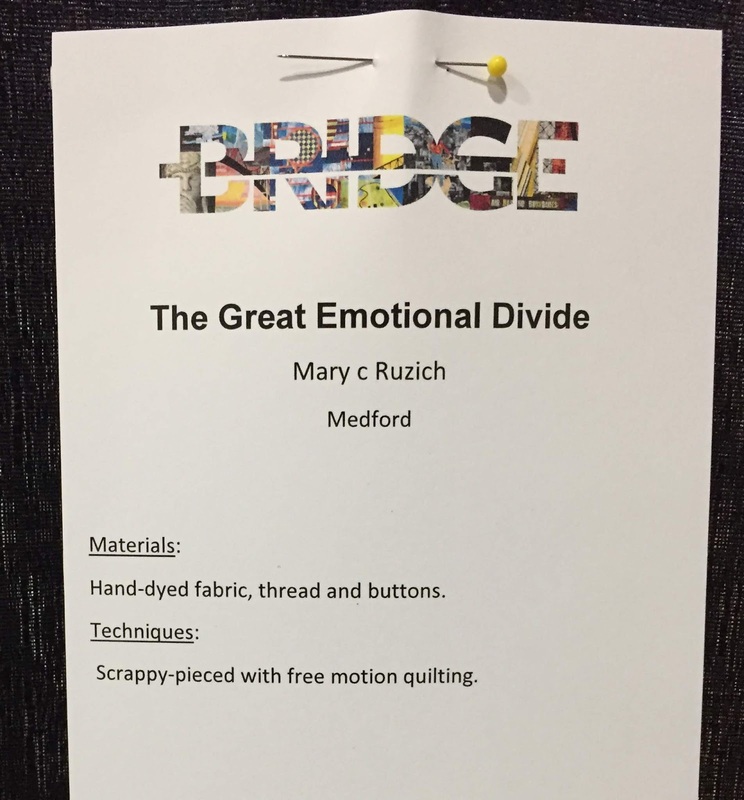 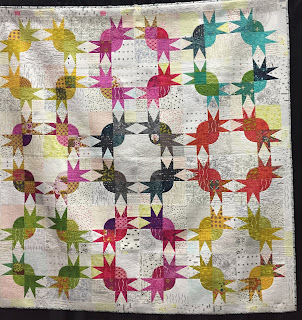 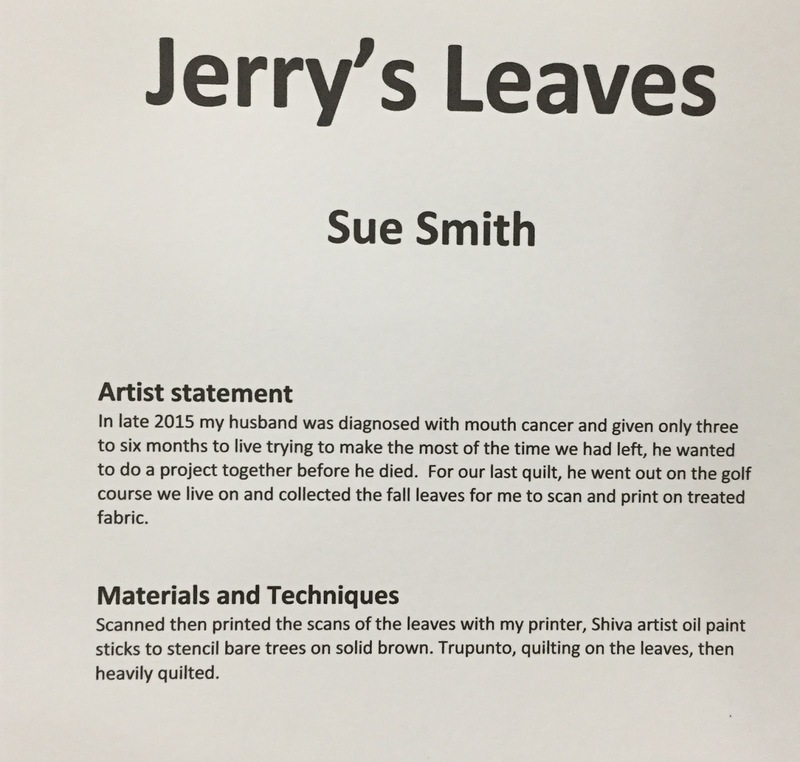 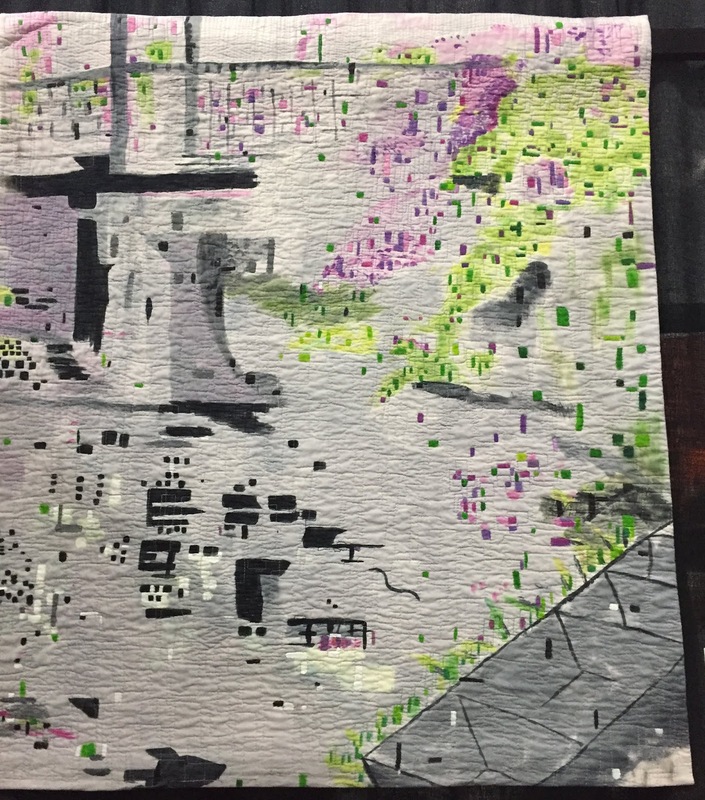 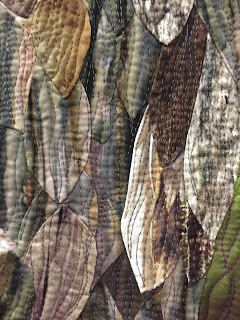 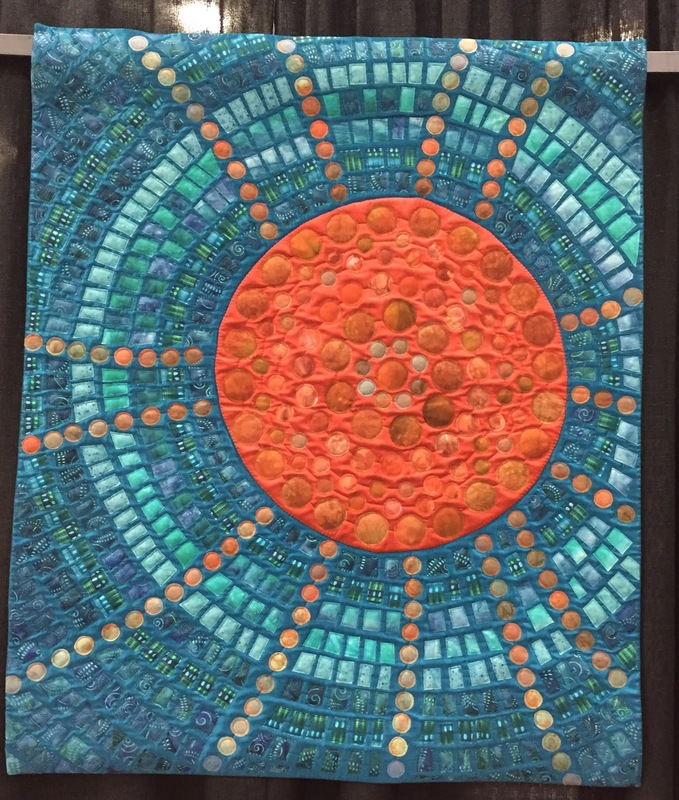 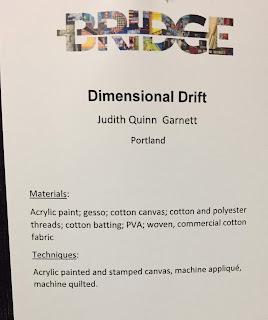 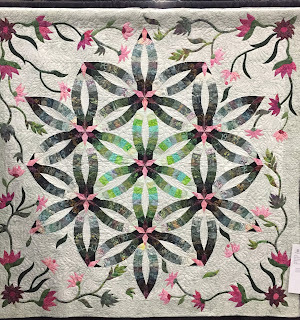 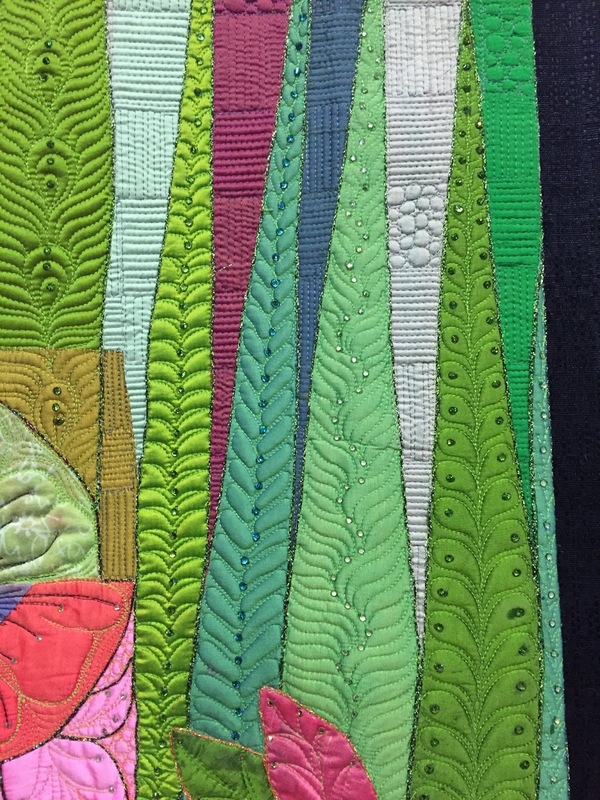 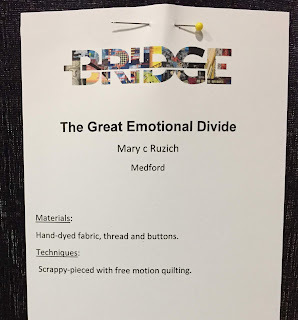 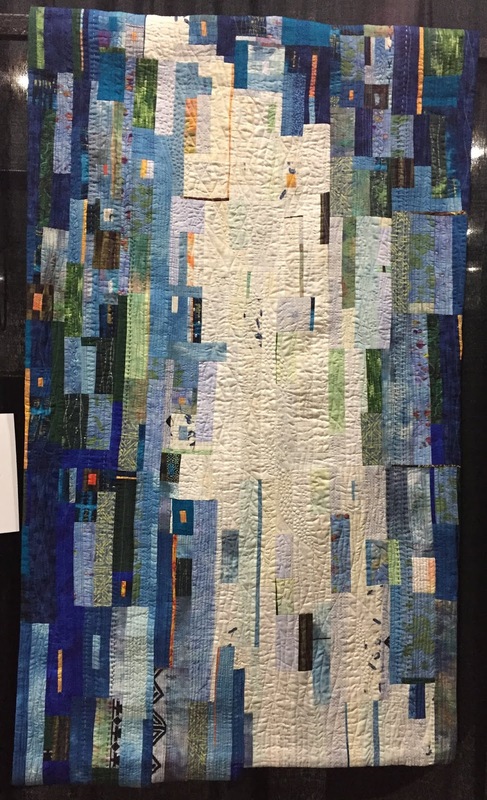 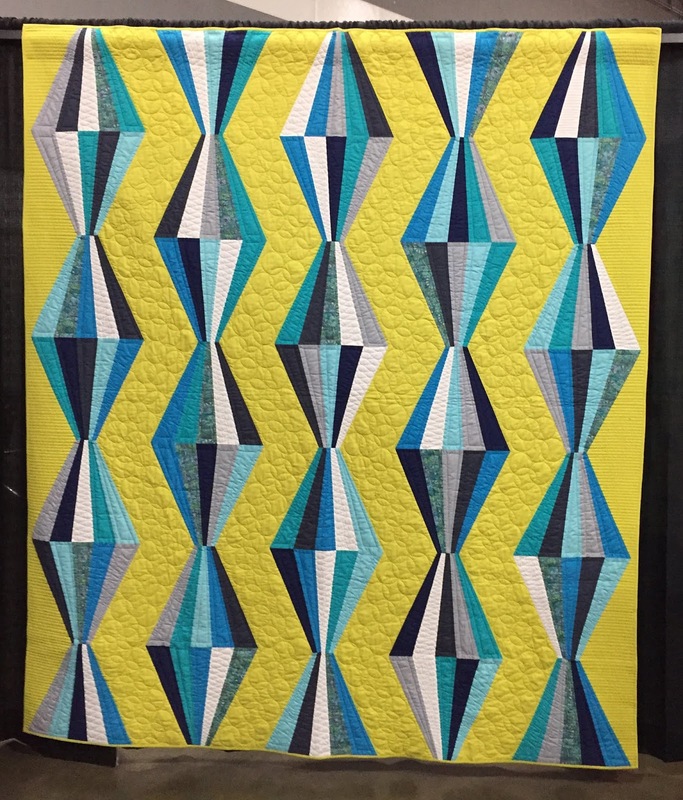 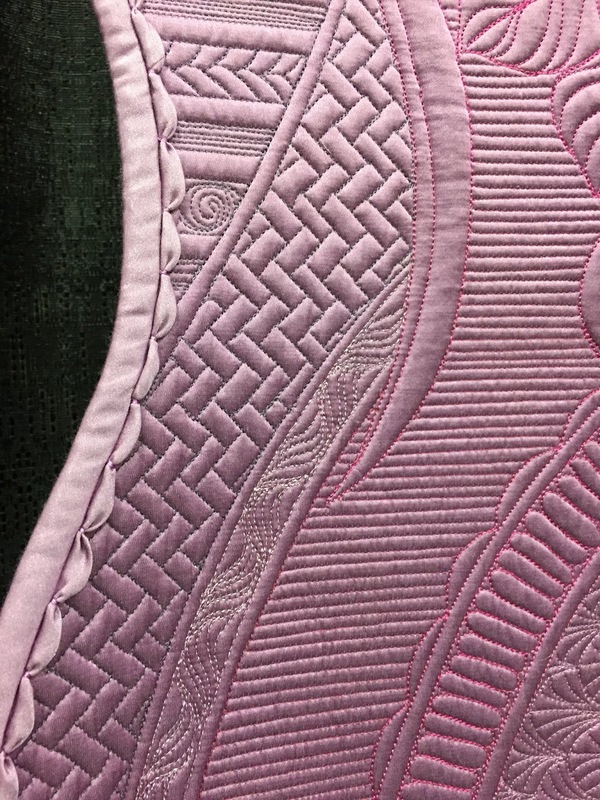 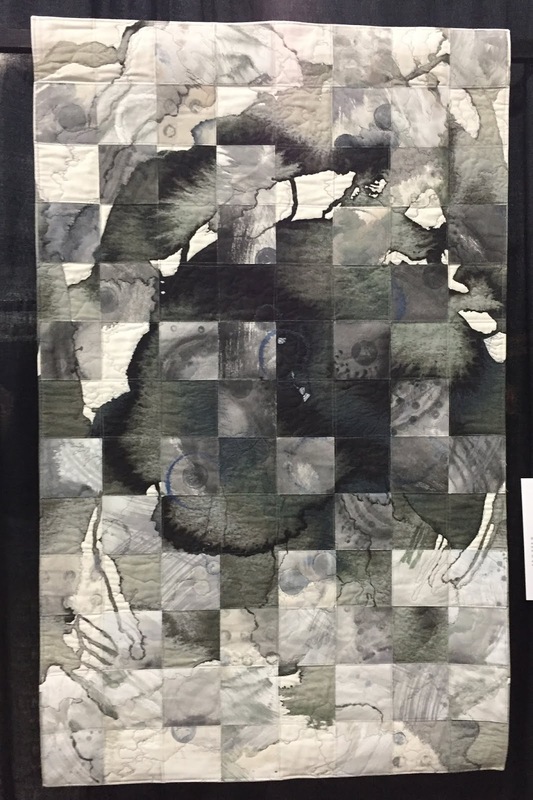 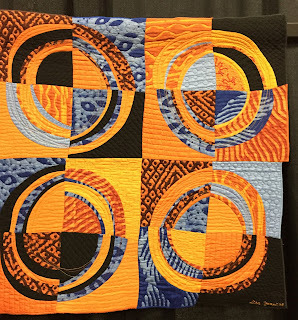 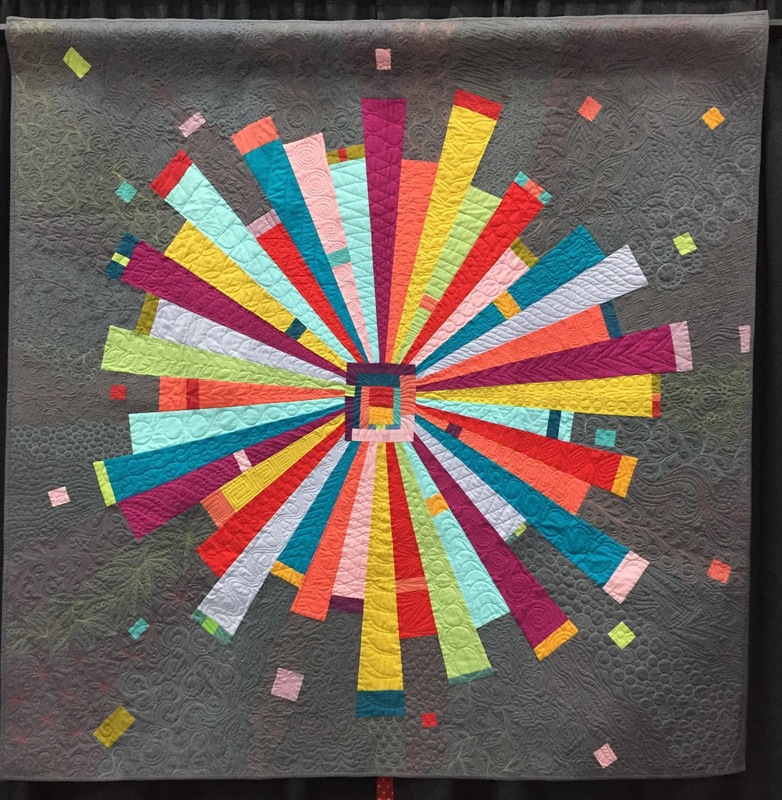 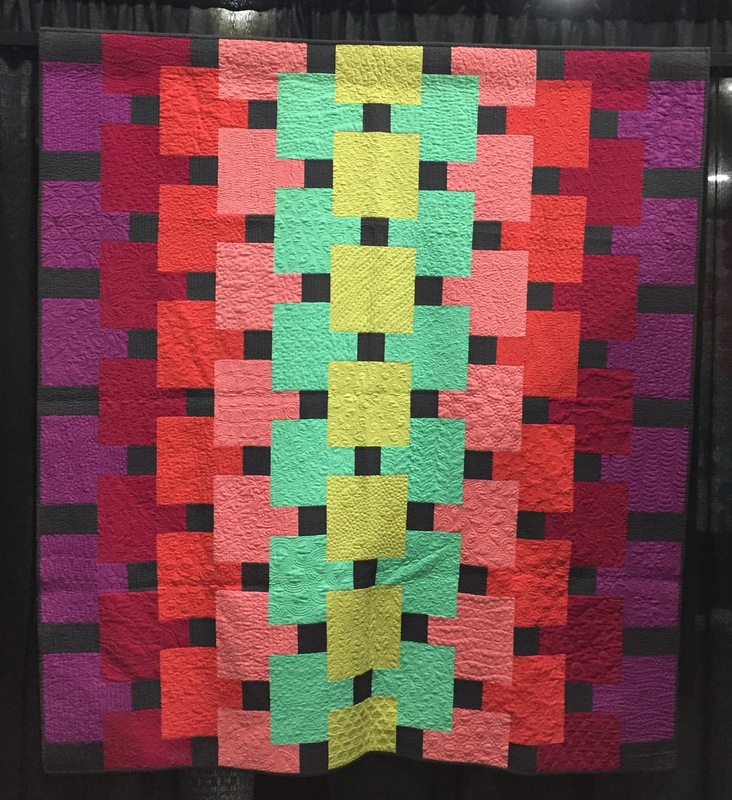 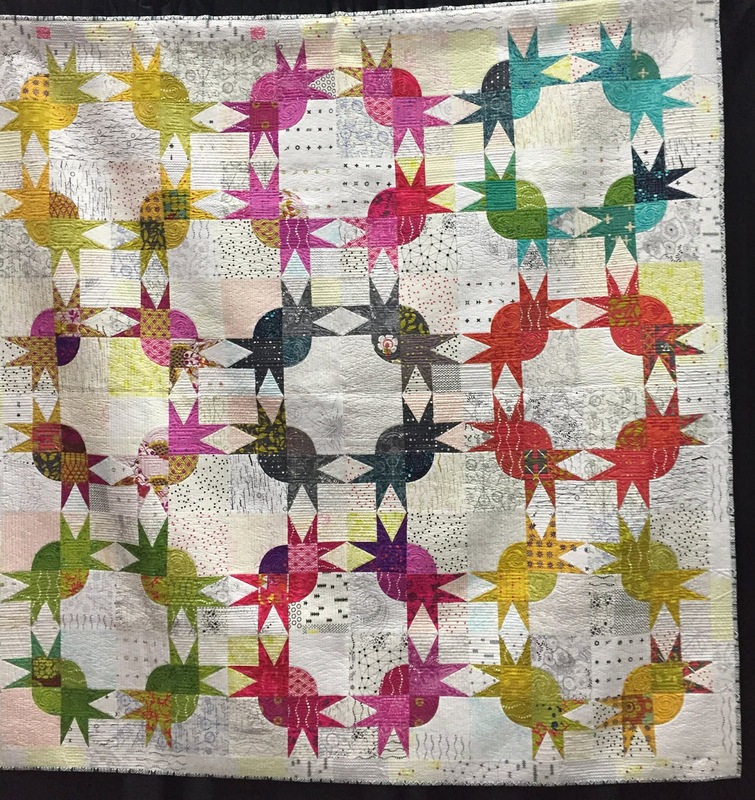 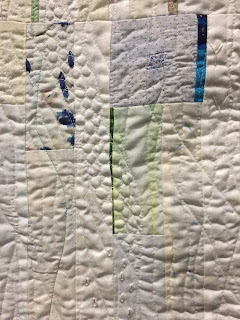 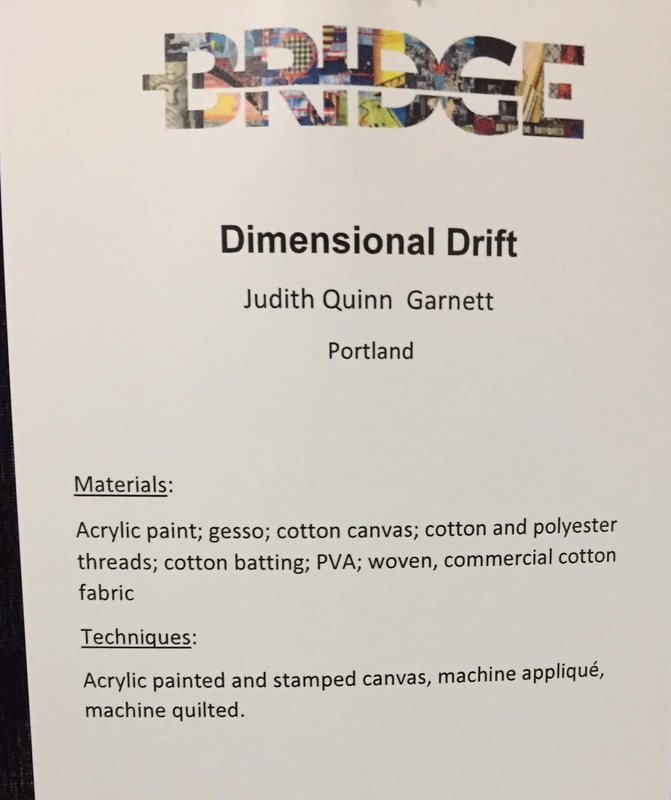 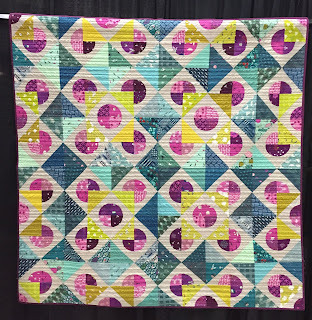 The Northwest Quilting Expo was held in Portland at the end of September, 2018. 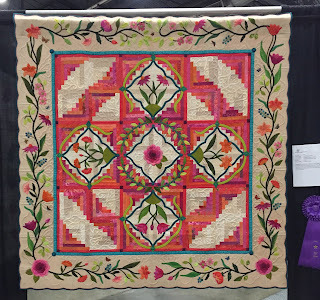 The show this year was fabulous, with many special displays. 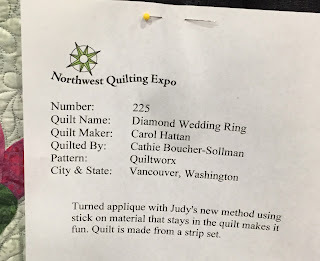 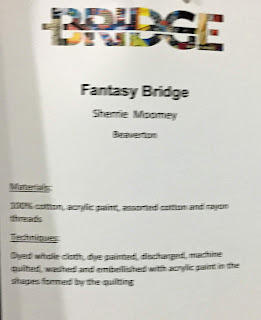 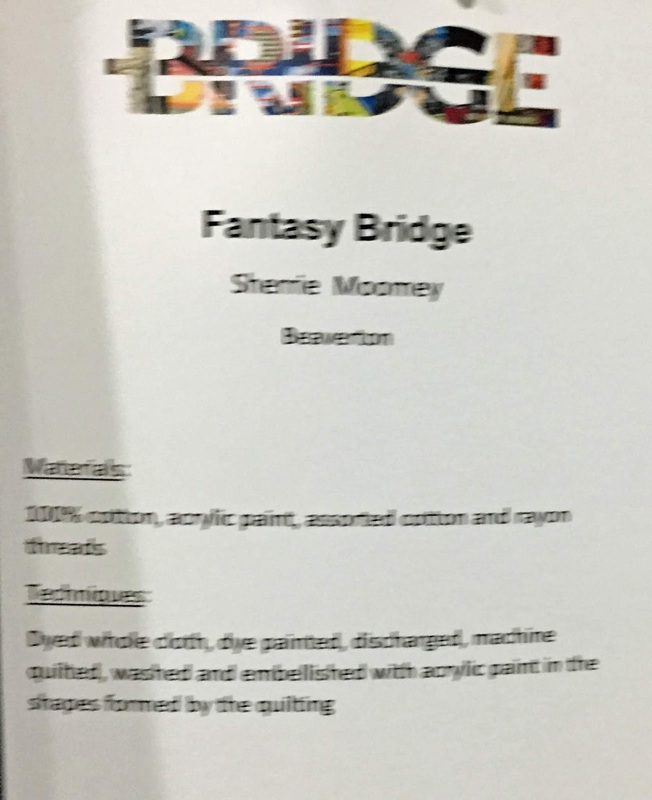 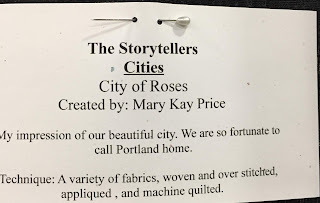 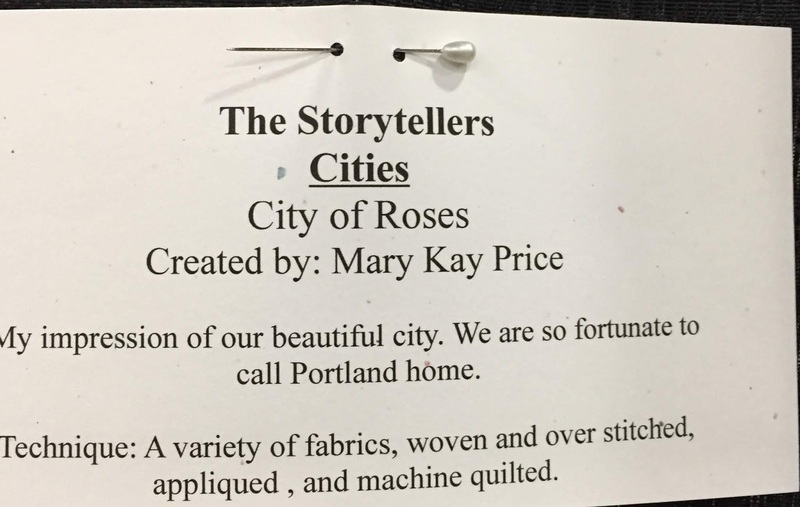 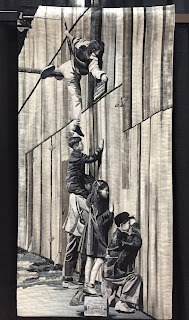 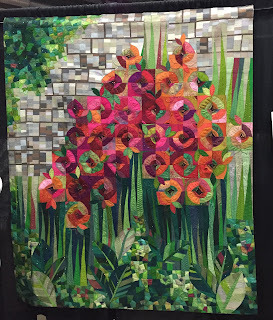 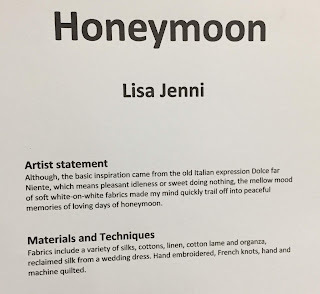 I really like going to these larger regional shows because I get to see my friends from Block Party Quilters in Sammamish, Puyallup Valley Quilters in Puyallup, Clark County Quilters in Vancouver, and Northwest Quilters in Portland, OR. Hello again to all of you that I ran into at the show. I took a lot of pictures this year and am sharing them with you here, so that you can see all the excellent workmanship that went into these quilts. 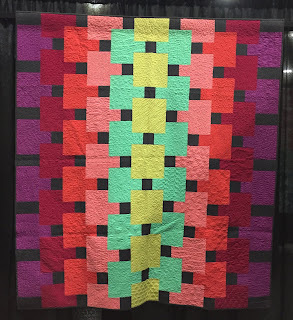 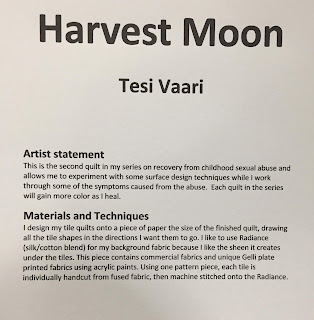 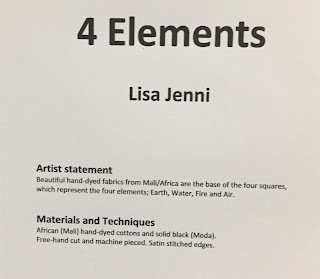 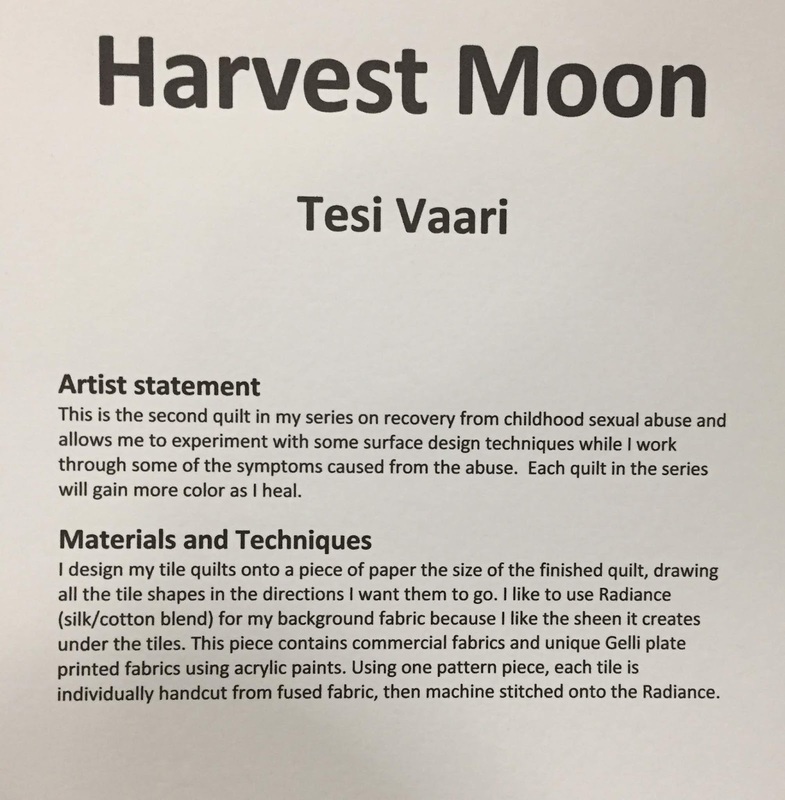 One caveat - many of the quilts did not have a show label on them, so the makers and the stories are unknown. 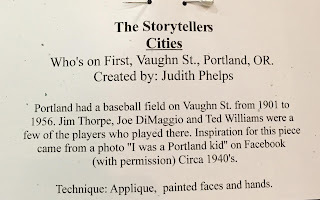 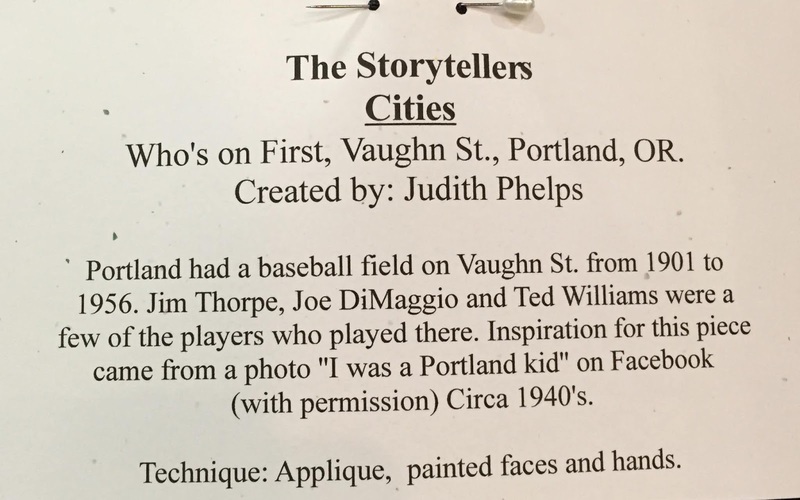 Too bad - I like to give credit where credit is due.